I have used the fabulous, new, Peony Dream 3D Die set on this card. If you have been following my work for a while now, you must be knowing that layered florals are my all-time favorite and I was really excited when Altenew sent me these layered floral dies. They are absolutely brilliant to work with! I cut the Peony Dream die set out of five different shades of pink textured cardstock to create my flower and two different shades of green cardstock for the leaves. I also used the new Cube Cover Die Set on this card. Instead of die-cutting it, I simply used my Tan Mat so as to get an embossed impression of the die. I love how it looks. What do you think? I then assembled the flower and the foliage to create a floral cluster. The small filler flowers are die-cut from the Rose Flurries 3D Die set while the additional foliage is from the Create-A-Wreath Die set. The sentiment was heat-embossed in white on black cardstock and is from the Altenew Painted Butterflies set. I also added black paint splatters to finish off my card. For this card, I used another layered floral die called the Rose Flurries 3D Die Set. This is a very intricate and detailed die set and there are a LOT of flowers and leaves included in this set. I decided to create my own custom-colored cardstock, by coloring the die-cut pieces using Altenew Dye Inks. I inked each of the flowers using the inks from the Cherry Blossom set and then stacked them together to create the complete flower. The leaves were created the same way. I used the Altenew Tropical ink set to color them. For my background, I die-cut the Watercolor Stripes Cover die out of white cardstock and colored it lightly using Altenew Sea Shore inks. I have created an ombre look from bottom to top. The sentiment is from the Altenew Sketchy Floral stamp and was stamped on white cardstock. I added few enamel dots and black paint splatters to complete my card. This card is one of my personal favorites, but the photographs don't do justice to it. I love the soft shabby-chic look of the creams and the pinks combined with the background lace. To start with, I die-cut the Creative Edges: Lace die out of cream cardstock. I aligned the die to create a double-sided border as the scalloped side is the one which cuts when it's run through your die-cutting machine. I die-cut these laces twice to add to the bottom of my card. Next, I die-cut the oval frame from the Create-A-Wreath set out of gold foil cardstock. The leaves are from the Rose Flurries 3D Die set while the delicate foliage is from the Create-A-Wreath set again. The florals used here are from one of the most favorite stamp sets from Altenew called the Vintage Roses. They were stamped on white cardstock using the Red Cosmos inks and then die-cut using the coordinating dies. I assembled everything together. The flowers and frame are popped using foam dots for dimension. The love die-cut is from the Altenew Script Words die set. I have tried to give it a pink ombre look and offset it with gold foil cardstock to give it some interest. The 'sending' sentiment has been heat embossed in white on black cardstock and is from an Altenew stamp set. I have used the Altenew Caps Bold Alphabet die set to create this card. The letters HAPPY were cut out of white cardstock and then lightly inked on the bottom using the Altenew Frosty Pink ink. 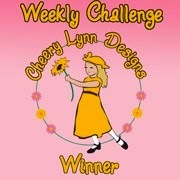 The flowers are from the Altenew Rose Flurries 3D Die set. This time, I used the Inlaid Die-Cutting technique for the flower on the left as I wanted to give the die-cut letters the proper dimension. The roses and the leaves were cut out of colored cardstocks and then layered. I die-cut the letters using White Foam to give them some dimension. You can see it clearly in the picture below. The word anniversary is from the Altenew Vintage Roses stamp and has been heat embossed in white. I added strips of black diagonal stripes to balance my card design. I also added few clear sequins to complete my card. Now moving on to my last two projects. I have made a Bag and Tag using the new dies. These dies are so versatile, I can't stop using it on all my projects, be it gifting options, be it cards, and much more. On this bag, I have combined several dies together. The flower has been created using the Rose Flurries 3D Die set. I have cut it out of different shades of dark pink textured cardstocks. The leaves were cut out of green textured cardstocks as well as ink blended using the Altenew Green Fields inks. The foliage was cut using the Create-A-Wreath die set. I have added also some foliage cut using gold foil cardstock. I have also added few light inked brown laces using the Creative Edges: Lace to the tag. The foliage and leaves are from the Create-A-Wreath and Rose Flurries set. 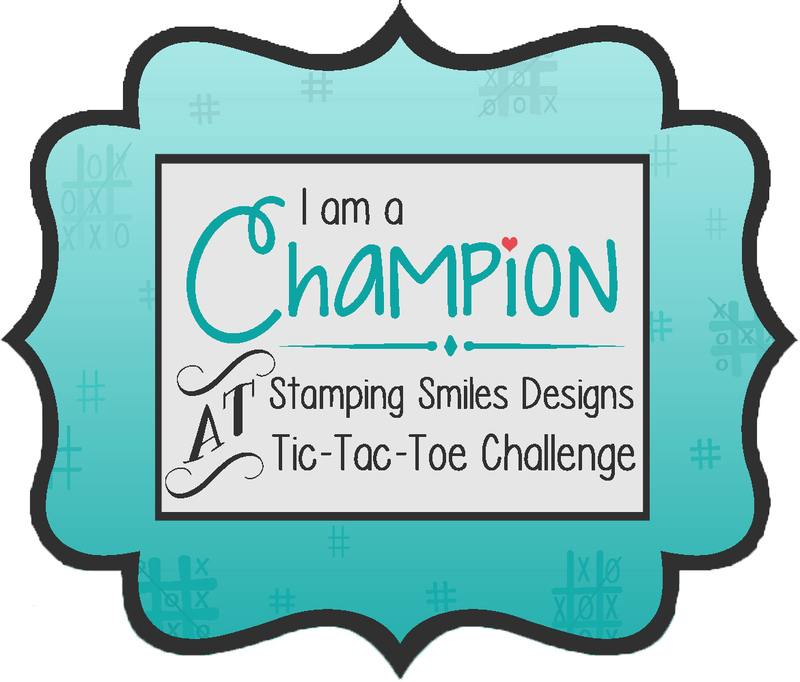 The tag has been cut using the negative of the Create-A-Wreath circle die. The top-most layer of the flower is cut out of gold foil cardstock. A closer-look at the tag! 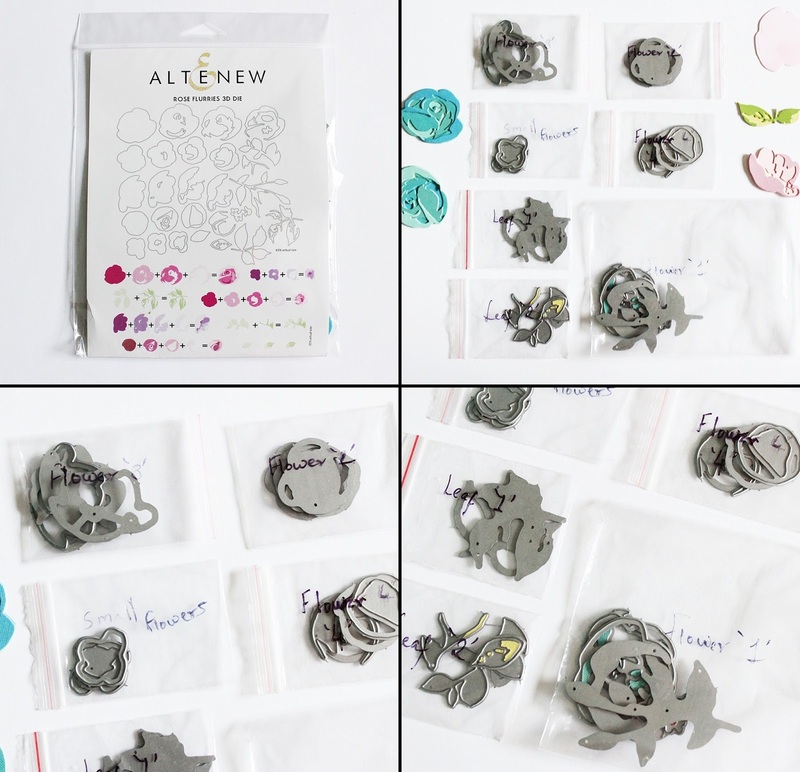 Lastly, I would like to share a small organization tip for the Altenew Rose Flurries 3D Die set. When you receive the package, all the dies will come joined together in one piece and you will have to separate them using scissors or metal snips. Since this is a multi-layered floral die set with a lot of elements in it (five different types of flowers and three different types of leaves), it may at first feel a bit confusing as to which flower layers with which, so it's better to separate them in individual zip lock bags by the flower type and label the zip lock bags. You can do the same for the leaves too. This will save you a lot of time later when you sit down to create projects using this die set. I am sharing a picture below to help you understand what I mean. 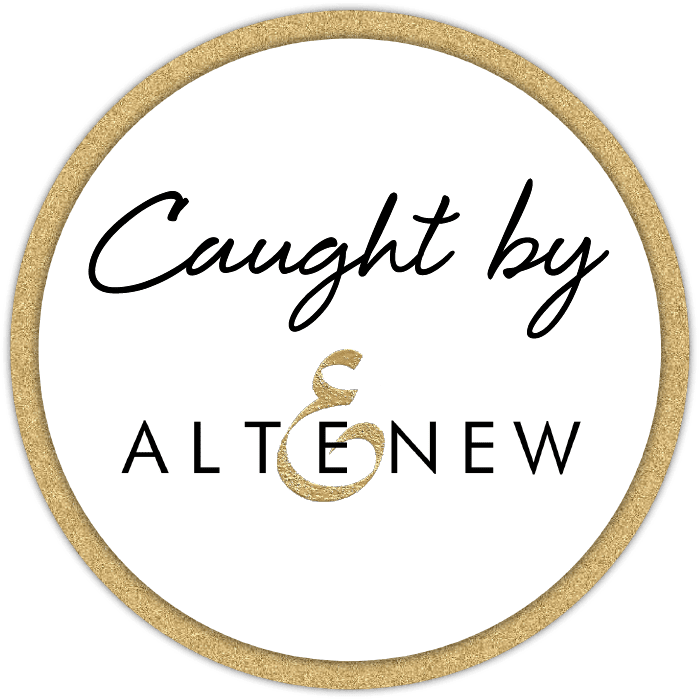 Altenew has very generously offered me to giveaway a $30 gift certificate to one of my lovely readers. To be eligible to win, please leave a comment here on my blog by Sunday, January 14th. 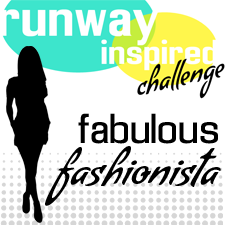 I will announce the winner on my blog on Tuesday, January 16th. I hope you liked my projects. Do let me know which one you like the best. Thank you so much for stopping by! Hussena, your work has always inspired me and these are stunner I must say. Loved the cards and specially the layered dies.Its beautiful.Absolute wonders. Beautiful beautiful creations...Truly a visual treat...Thanks for sharing Hussenna..
Hi Hussenna! To say they 'saved the best for last' is an understatement =] But guess what? I've come sooner, because I knew you'd use color in the most amazing way with those 3D blooms ... I was right! All gorgeous, amazing, and fabulous - if I was forced to choose a favorite, I would pick your yellow gift bag, with its dimension, texture, and blooms, who would need a gift inside! WOW! Gorgeous projects; your showcases of the amazing 3D dies has made my wish list *very* long! The peony card..oh my! Swooning! Your projects are beautiful with amazing color coordination! Thank you for sharing your artistry and the giveaway. Such beautiful creations Hussena! I love them all! The tags are so pretty. Genius idea to use the lace edge on the bag. All your projects are simply beyond beautiful. The yellow bag with the lacy top uses my favorite colors and is a standout for me but it is so hard to choose from such beauties. wow what an amazing collection of samples - you have certainly showed cased the versatility of these dies to perfection. I think I need all of these dies now!!!!! Your cards are all gorgeous - I love the unusual combination of the blue flowers the most, but they are all breathtaking! Wow!! You are on a roll!! Every card is beautiful and as I scroll down, more gorgeous creations!! My fav is the card 3, with the lace die :) Superb it is! Congrats for being on the Altenew design Team. Your work is awesome. SO nice to see a friend on a Design Team. Beautiful projects and great organizing tip for the rose die set. All those pieces can be intimidating. Thank you for sharing! Wow--you have been very busy creating some amazing projects. Love the peony die. I love all your cards! They are exactly the style of cards that I gravitate to! Thanks so much for the inspiration. Such wonderful cards and love the pretty bag you created! Awesome release! Gorgeous projects! 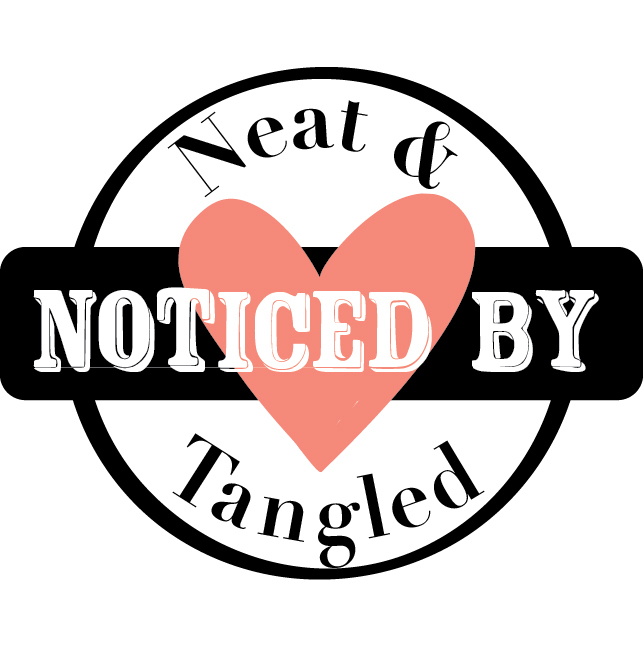 It was hard but I narrowed my favorite down to the lovely round tag! These are so so elegant and breathtakingly gorgeous. And I think this die set is a must have. 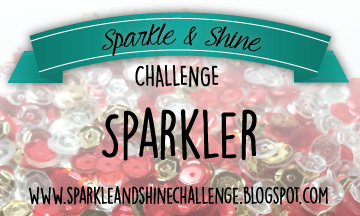 My absolute favorite post on the blog hop! Your cards are stunning, pinned them and will revisit them often! Thank you for sharing your lovely floral designs! Can take my eyes off these beauties !! Each one is soo beautiful and I loved the colors..
All of your cards are amazing! I love the layered flower dies! So many possibilities. Thank you for the inspiration. Awesome projects. I am a new time visitor but this first visit won't be my last! There's nothing on this post that doesn't make me think - WOW! Thanks for the chance too to win the certificate to spend on some of these fab products. Hussena your cards are gorgeous! Really love card number 4 will be looking on getting those Caps Bold Alphabet for sure. your colors are awesome thank you so very much for sharing, keep up the great work you do when it comes for making your beautiful cards. You have been quite busy! I wish I could get my crafty hands on all of the Dies that you used to create these breathtaking masterpieces sooner than later! 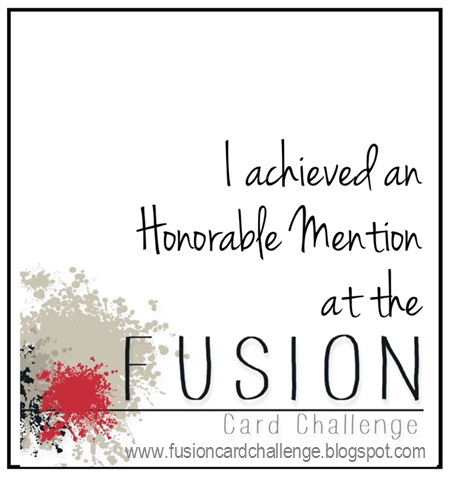 I have always been able to pick one card as my absolute favorite but I just can’t do it today! Each one of your creations is my favorite for different reasons! TFS! I am in awe of your color choices.. Why can't I do that!!! stunning cards, all of them! Thank you for the inspiration. Beautiful cards! All the dies in this release are amazing and unique. I especially love the peony die! Thanks for sharing! every one of your cards is just gorgeous, Hussena - would be hard to choose a favorite!! Wow, these are all absolutely amazing!! I love the designs of each one!! You've showcased the new release perfectly!! These are all stunning!! Oh my love all your layouts but particularly love the peony!! I loved all your projects. How does someone get that much mojo to make so many gorgeous items? TFS. All of your projects are simply divine ... and stunning! Love this new release. Your cards are stunning. Wow, I would not have thought of doing tags, bags or put together the color scheme you have. so gorgeous and creative. thanks very much! What beautiful cards. Just love the colors and design. The peony is my favorite as is the die set. Oh my word Hussena! How on earth could anyone pick a favourite? They are all so beautiful. Your cards are so elegant and well done. The gift bag is very striking in yellow with the beautiful peony and then there is the elegant tag that is too pretty to write on...Lol It is all exquisite, what a grand finale to Altenew's Jan. 2018 release? What is there not to love. The further down the page the better it got. I love every one. AH-Mazing! These cards are gorgeous! I love that little bag too...what a nice touch to have the lace edge and the 3D flower. The bag itself would be a great treat. I love that Sea Shore watercolor stripes paired with the pink flowers. Just so beautiful! I am blown away by your gorgeous projects, especially the 'hello' and 'thank you' cards. I have to have these dies! These are all beautiful! Love all the amazing floral layers! Gorgeous cards - so delicate and pretty - love the colors. Your cards were worth the wait! They are works of art. Thank you so much for sharing them with us, just beautiful. These are so beautiful, I cannot pick a favorite. Thank you so much for the inspiration. Beautiful cards - love them all and love all the new release, too! Your cards and projects are all so amazing! I think my favorite is the "love" card - such a creative use of the beautiful dies! Dry embossing the die for the background of the first card looked awesome. I also loved your light inking on the watercolor die. OMG they are all wonderful. WOW! As I kept scrolling down I could not stop saying wow!! All of your creations are amazing! Beautiful! I love the Peony 3d die set! Your cards are very pretty. These are wowers! I love their lacy beauty! HUSSENA!! I knew when I saw the full reveal of this release that YOU would be the one to share samples today:))) You have NOT disappointed! Oh HAppy day! Each creation is singing to me:) LOVE how you used the new edge die to replicate the white urn that is so often gracing the background in your photos. Each floral cluster is masterfully arranged. BRAVO!! Oh, oh, oh, these are all sooooo gorgeous!! I love the soft colors; so elegant, specially with that fabulous lacy die! Beautiful cards and tags! Thanks for tips on storing the various layers for the flowers. Your projects are all breathtakingly gorgeous, love them!!!. It's always a treat to see your designs!!! WOWZER!! I love layered flowers also and you have totally rocked them on all your creations!! Super awesome creations. I am always in awe of how you arrange florals. Beautiful projects, Hussena! Every card is beautiful and I love the bag and the tag. What lovely use of these new dies! I can't decide which card I love more. Fantastic! The tag and bag are sweet too. These dies (the whole release) are spectacular. You designed lovely cards representing it all. Thank you for sharing. Holy Alcapurria----Yummy Puerto Rican fritter!!!!! Your creativity leaves me breathless! You've shared such an impressive collection of designs! Thank you so much, Hussena. Wow! Your cards are gorgeous. I love them all as I love floral designs. If I had to pick one, it would be the bag with the lace die top. That is my kind of design. It's a dreamy creations. The colors are design are so beautiful! Such an amazing array of projects.. it’s hard to pick the best one.. just love your creativity and how effortlessly you arrange your floral elements! Oh my so many gorgeous cards and tags! I love them all especially the floral hello. Beautiful backgrounds as well! Beautiful designs. I love the way you layer and add special touches to each design. All of your cards and project are super nice, card three is over the top! I love it. Thank you souch for the inspiration. Beautiful textures and colors on each of your lovely creations! Awesome new dies! Trying to decide which are my favorites! The flowers are amazing! Your creation are beautiful and your photography skill is simply awesome! Beautiful projects!!! Love them!! Especially the first two cards!!! They stole my heart!!! These cards are wonderful!! I am drooling for this release. Superb dies! Wow! That first card is Stunning! And the rest are simply lovely. Every card got better and better! I’m a tag girl and love your ideas for the tag! All of your detailed helpful tips will be great to review again later when I get my dies! Your creativity in also inspirational as you added your beautiful bag and tag. It would be sweet to create a similar one for my students for Valentine’s Day! Thank you for taking time to share your creativity! Hussena,as I always say u have magic in ur fingers..keep spreading happiness with ur cards.. Loved each and every card of yours Hussena! Each one is so beautiful and very well crafted! Thank you much for inspiring! Your cards are all gorgeous! Those layered flowers are amazing! All your cards, bags and tags are beautiful. Thank you for sharing. Wow, so many fantastically lovely colourful cards. You've made them all so beautiful, I can't pick a favourite no matter how long I look at them. Absolutely stunning. My favorite too is your favorite with the creative edges and the vintage roses. Would love to receive any of them though as I'm sure the recipiants of them are. Your cards are SO pretty! You showed off the products in such a creative way! Wow! Card 1 is my favorite, but they are all lovely! Thanks for sharing! Flowers on cards as alive. Flawless colors are chosen for multi-layer cutting. Your participation in this hop would be all that is needed to show that Altenew does the best florals around! Simply beautiful--all of them. I especially like the way you did the border die as a lacy backdrop--just so lovely. Thank you so very much. Absolutely beautiful cards! So much inspiration! I can't wait to start getting some of these new dies, the whole release is just great! thank you so much for sharing with us! Omg.. you are a magician! Which one is my favourite.. I can't even decide.. every card makes me want to look and observe and remember to learn! Every single project is totally beautiful!!! Love those 3-d dies!! Love your style! All of your cards are beautiful! Not enough words to describe how beautiful your cards are! Stunning! Thank you for sharing your talent! Awesome cards! All of them are very pretty! Love the peony die! These are some really beautiful cards. your cards and tag is beautiful, that is some amazing work. I love the colors not all of them are bold, you made some subtle and gentle. 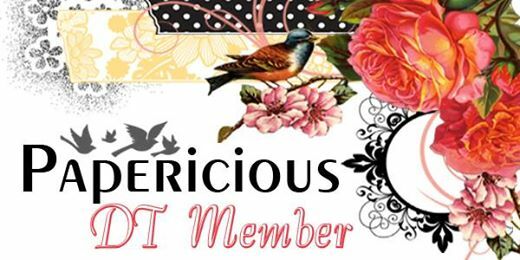 Wow, I love your stunning cards and tags! This is a clever idea of having a die cut of the different layers of the flower. Makes a beautiful flower. What fun we can have with this die set. I would just love to keep looking at your layered flowers. They are a beautiful. Oh my goodness these are all just stunning!! You always do an amazing jobs with florals and these layering dies are so pretty and you have made such lovely arrangements with them!! I am always looking for new and fresh crafting ideas, I really like the bags you created using the lace edge die and the flower 3D dies. Beautiful cards! I love the Peony Dream die!! Your cards are amazing! And thank you for the tip! WHAT AN AMAZINGLY AWESOME, TOTALLY AMAZEBALLS LINEUP! This is incredible! SO much inspiration here! Stunning cards and 3D projects! 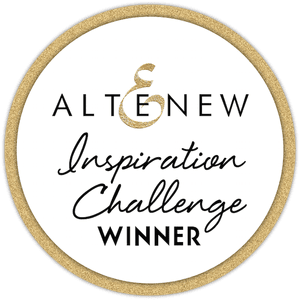 Your colors and design ideas are fabulous and so inspirational! Your cards and tags are amazing! Thanks so much for sharing and inspiring! What a variety! Wonderful projects! Stunning and wonderfully elegant cards, gift bag and tag! Just beautiful cards and tags---very inspirational! Lovely creations, all of the die cuts are so beautifully arranged. Thanks for the inspiration! I love the way the layered flower dies combine with the build-a-wreath set. Your cards are beautiful! Just stunning. I love the colors, the clean and simple look, the lacy die cuts, and so many possibilities with all those flower dies. Just WOW! Your cards are absolutely stunning! I'm having a hard time picking my favorite, but I think it might be the roses with the watercolor stripe cover die for the background! You have certainly inspired me and I can't wait to get some of these products in the new release. Thank you so much for sharing your talent and creativity with us...I so appreciate it! Those are cards are truly amazing! I don't think I have wanted a die more. I love the colours and design of each and every card. The gold is a nice touch. Wow ! You was very inspired with this release ! All your creations are absolutely gorgeous and so feminine. Thanks for the organizational tip ! Beautiful cards and tags. I loved how you used so many products from the new release. Thanks for sharing. Project after beautiful project and tips on separating the dies and using foam under the lettering...........you're amazing! I loved everything you created. So many details and totally so much inspiration I could spend a month looking at all of them. Thank you so much! Beautiful, beautiful cards. Love how you have used the new dies. Such beautiful use of this new release. It’s hard to pick a favorite. I really like the Cube Die when it’s used for Embossing and the ombré is absolutely gorgeous. Id be thrilled to find any of these in my mail box. This is my first time in your blog, I think your cards are amazing! Love from Spain! Wow! All of these are absolutely stunning! I think you are the only one to use the lace for for a double sided scallop. It is so elegant! I love the way you layered and combined everything and Incorporated so many dies into your work. Thanks so much! Thank you for the organisational tip for the flower dies-I do plan on getting the roses and peony dies! Your cards are simply stunning! All of these cards are stunning! Fantastic! These cards are just stunning! Well done, you've shown off Altenews dies to perfection. Fantastic cards! I love all of them - my favorites are the 'Hello' & 'Happy Anniversary' cards. You truly show the versatility of this new Altenew release!! Absolutely beautiful. I love the white backdrops using the dies. How beautiful! Love the layered flowers! Gorgeous projects! So many yummy layers and awesome color choices! Your projects showcase how versatile these new products are. You've used beautiful colours on your cards. The little bag and tag are so cute. Thanks for sharing the storage tip for the dies. Your cards are truly amazing! I particularly like card number 1 ! So glad I ordered this set right away! Such amazing projects and inspiration! This release is wonderful! Terrific examples of the versatility of these products! Loved the fact you used it on other papercrafting projects. Thanks for sharing! Very pretty cards I like your idea of using zip locks for the different flower dies! Such amazing inspiration- I love all the beautiful projects you created with the dies! The first cart has such lovely colors in the peony and that background texture you got with the cube cover plate die is a fun unexpected twist. It all comes together in such an elegant card! I love it! I also love the gorgeous rose florals you created - thanks for showcasing such fun ways to use them along with the lace die. 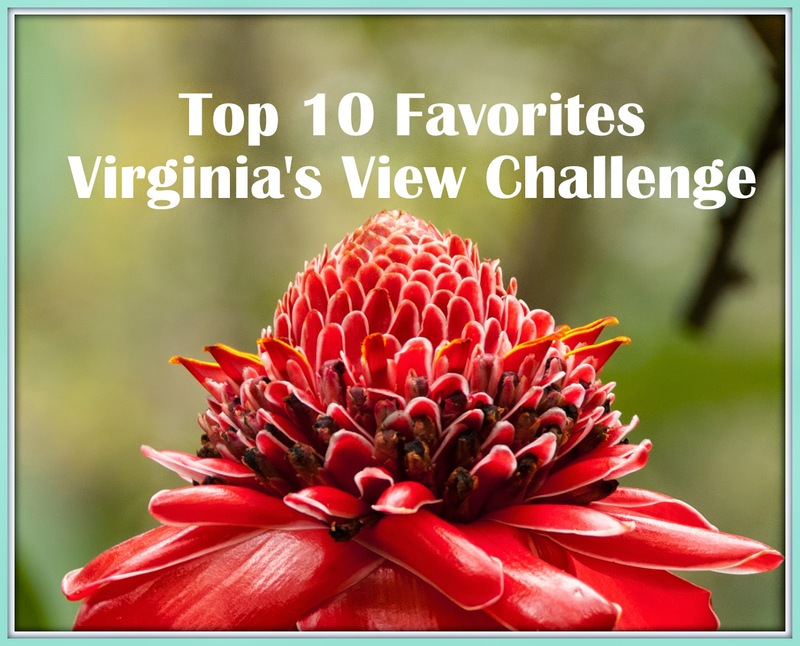 WOW - so much to see! I can't wait till Altenew is able to get more of these back in stock in their store! 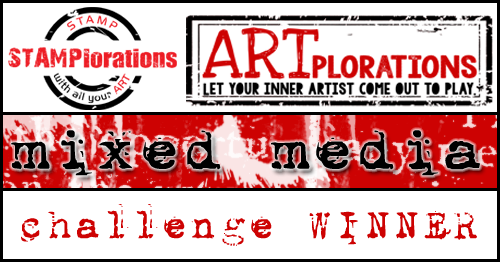 Thanks for participating in the blog hop today. Amazing inspiration! Wow amazing creations! I love the touch of gold on the tag flower! Thanks for sharing and the opportunity! They best was certainly saved for last!! These are so beautiful and I love the flowers! I absolutely love your examples... they are my fave!! These die sets are just stunning. Your little goodie bag and tag are sweet! Love it all! And the storage idea! Very helpful. I love layered flowers too and am DEFINITELY getting this Peony Dream 3D die set--your cards are GORGEOUS! Thank you for sharing your creativity! So many beautiful projects! I love the purple in the first card! Absolutely gorgeous projects!! Layering dies and stamps are AMAZING!! I adore every one of your projects and thx so much for the tip on keeping the flowers and leaves separate! Gorgeous designs Hussena! Thank you for the inspiration! Such nice ideas, thank you for your work im going to have a hard time deciding what to get. Amazing inspiration from a fabulous release! Wow Hussena! A feast for the eyes. My favorite are definitely the purple peony (love those tones with the greens) and the tag with blue/gold. Eyecatching. You have showcased this release in the most inspiring way!! Everything you've done is beautiful. That peony stamp set & dies are at the top of my wish list, then the watercolour cover die. Your cards really showcase the gorgeousness of this Altenew release. I like your first card the best (if I had to choose.) I like the colors, the white background and the spray you added behind the flowers. QUITE LOVELY. Wow love your cards, bag and tag! Those layering flowers are so darn nice. Thanks for the organization tip also! 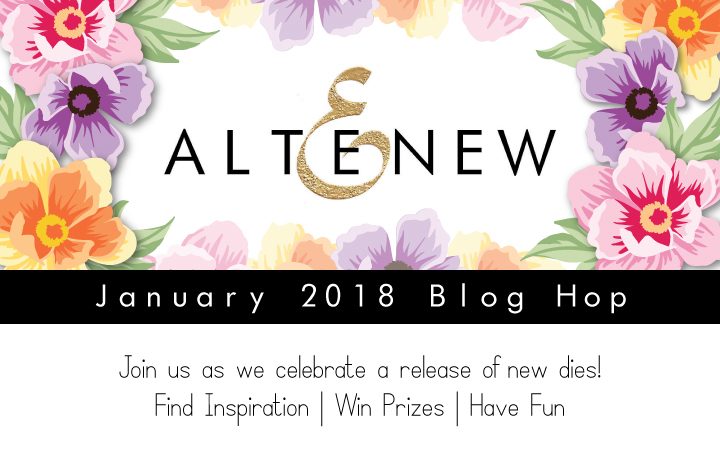 Hussena, this is the first time I have been on your blog and I am blown away with the amount of GORGEOUSNESS that you have created with the latest Altenew release. Thank you for sharing your artistry. You inspire with your creativity. 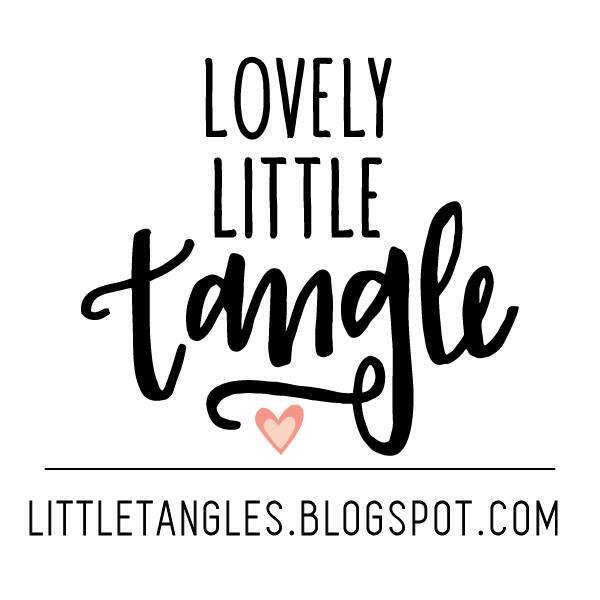 This may be the first, but it will not be the last time I stop by your blog!